Along with the growing demand of aquatic products and the increasing income of people, aquaculture in Africa has developed fast from the beginning of the century. In Africa, aquaculture can be divided into freshwater aquaculture and coastal aquaculture. Fish feed extruder is for manufacturing aquatic feed for Africa freshwater aquaculture. Dry type fish feed extruder, also called fish feed pellet mill, is widely used for producing variety materials into high-grade aquatic feed pellets for fish, catfish, shrimps, crab etc. The final feed pellets have unique shape and good taste, high nutrition and smooth textures. 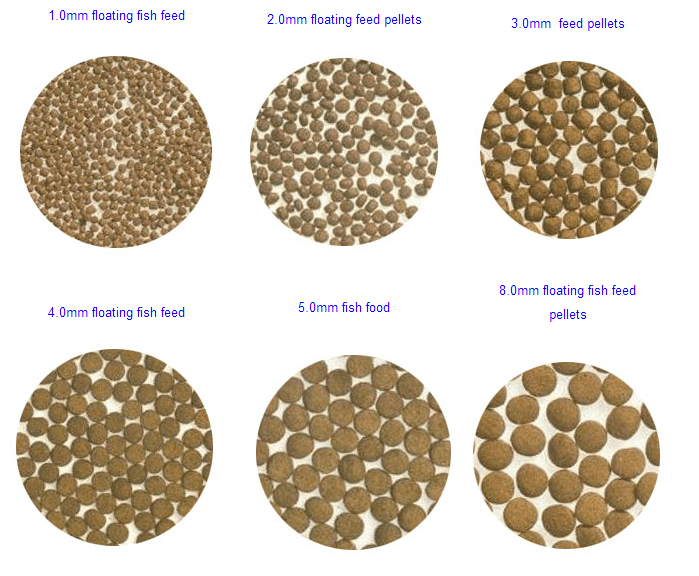 For feeds of fish and shrimp, the floating time on water surface can be adjusted by the extrusion degree adjustment when extruding the pellets. Currently, floating fish feed extruder has become an ideal for small and medium fish farm (catfish, tilapia, shrimp etc.) holders or fish feed processing plant. ☆ Rice Dust: contain about 10-14% of protein and also contain vitamin B1, B2, B6 and small quantity of enzyme. ☆ Wheat Chaff: contain fiber, control many types of fish diseases. ☆ Cotton Seeds: contain about 54% protein. It is a better ingredients for supplementary fish feed. ☆ Bone Powder: very necessary for building fish-bone. The ratio of calcium and magnesium in the bone dust is 2 : 1. ☆ Innards : very suitable and ideal feed for catfish. 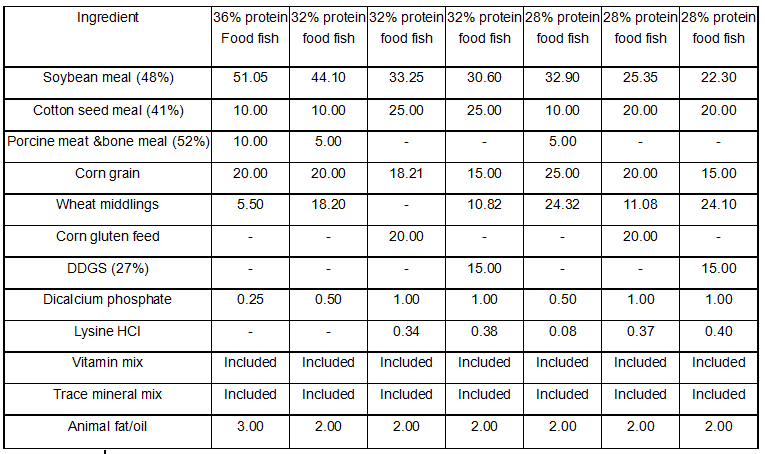 It contain 52% protein. Ingredient compositions of catfish fingerling and food fish feeds,The fishermen can adjust different kinds of raw materials according to the their fish.